It’s Christmas again and I like others I found myself racing around to get that last present to put under the tree. We are making arrangements for the friends and family we will visit over the next couple of days, who we will have lunch with, what time we need to leave to make it to the next home ….wrapping presents, and so on. As he unwrapped this message each week a big takeaway for me is the Christmas season was never meant to be about buying, the stress of what to buy, how much to buy, did I spend the same amount on each child, what to bake for the party tonight,….it is about being thankful for the present out Lord gave us in his only son; Jesus Christ. 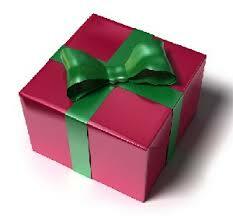 This present opened up an opportunity for each of us to have a relationship with our Lord. So this year I am working very hard to give the gift of “Presence” to those I love and care about. Presence is being 100% present with those you are with. This is admittedly a challenge for me as my mind is always racing, solving problems for my clients, mentally writing the next blog and Twitter posts. This year I challenge everyone to truly give the gift of Presence to those you love. This gift, unlike others is a treasure that can not ever be stolen once given, we can out outgrow it, it never comes in the wrong color or size, and once given blesses both the giver and the receiver. Have a Merry Christmas and may you find the deep joy that can only be found by being present with those you love.